Picture this: late nights, drinking, all your friends, in a parking lot. 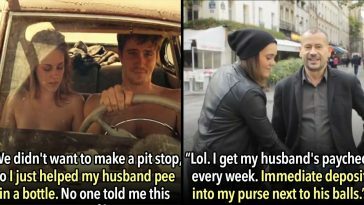 Usually, all the best stories come out of some sort of situation like this. 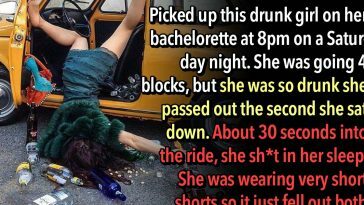 Regardless of your teenage days or currently, there’s always a story to recount (or barely recount) involving some ridiculous shenanigans in a parking lot. Do you remember playing chicken late at night in your high school parking lot? 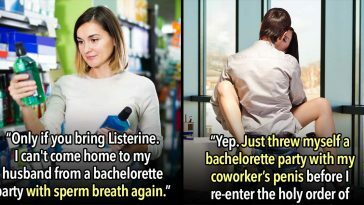 Or drinking into the late night in your car bar and taking the dare to make out with Ashley from first period? Whether it’s losing your virginity in the back of a car with all your friends cheering, taking ‘shrooms to go on a wild ride into another existence, or drunkenly dialing your ex (when you know you damn well shouldn’t), there’ll be a story to tell. 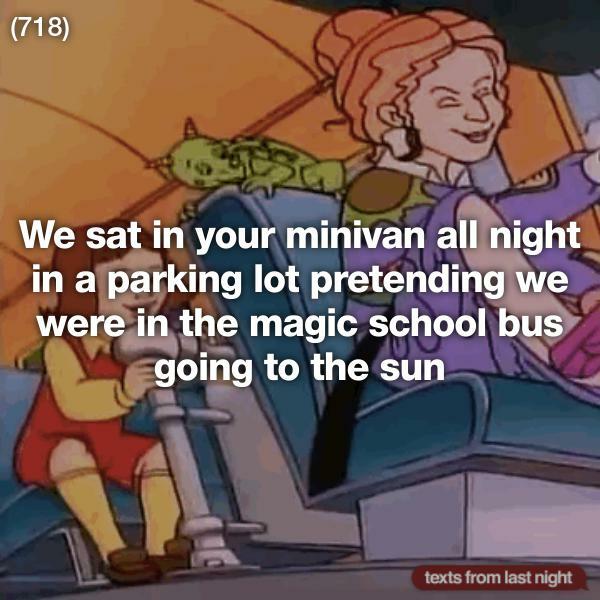 Luckily enough, text messages help us remember some pretty wild nights, regardless of whether or not we actually want to remember them. 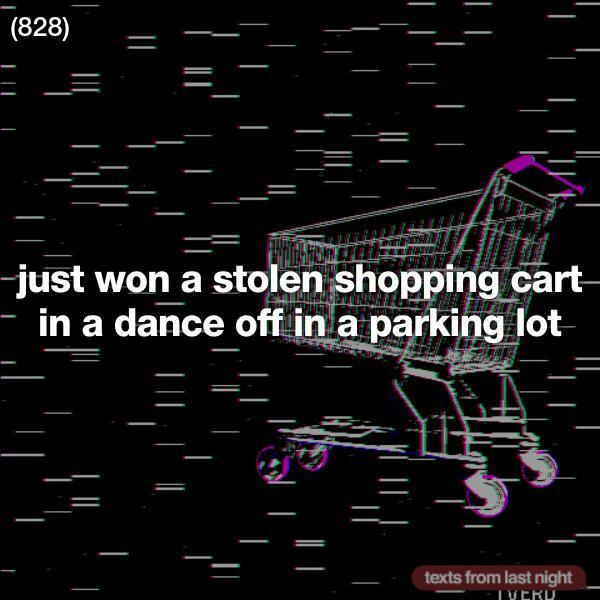 The following 21 texts recall some epic nights in parking lot history. (413): Thanks for holding onto me so I didn’t fall in my pee in the parking lot. You’re the best boyfriend ever.